Sometimes we all need a push, a nudge from the universe to trust our own inner wisdom. 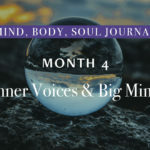 For me a phone call was the catalyst to propel me to forward to follow my own journey to wellness and healing. After spending more than half of my life looking for answers and a name to call the constant pain that I have felt since my teens, suddenly in one moment, by answering my mobile, could I have an explanation?. It was a Monday morning in December 2013, I was sitting at my desk in TV3 feeling the pressure, I was mid shoot for a one hour festive TV special called ‘Coming home forChristmas’, the whole show had to be filmed, edited, anddelivered to air on Christmas eve. Coupled with that I had my weekly radio show on Sunshine 106.8 various voiceover work, and as it was December so I volunteered tocover a few afternoon shifts on a Charity radio stationcalled Christmas FM, I was snowed under. A number flashed up on my mobile and I recognised it immediately asSt Vincent’s Hospital. Much to my surprise it was my doctor, I have been attending Dr Paul Murphy for manyyears for ongoing pain management procedures, however I had never received a call from him, so in hindsight I shouldhave probably listened a bit more carefully or maybe even asked a few questions, but I just said ‘yes, yes, em yes, ok,great, thank you, see you on Friday… bye’. I did manage to scrawl ‘chiari malformation 1’ which he told me was a rare brain disorder and my recent MRI scanned showed that I had it, as if that wasn’t troubling enough the MRI showed more cervical disc degeneration. The phone call was brief but the impact was huge, not because of the diagnosis but because of what I did next. My gut instinct kicked in and I listened, it was like an inspirational poke prompting me to make a change. So I did something unplanned and very out of character, I asked my line manager in TV3 if I could apply for 3 months leave. The chain reaction began; I had the email confirming I could take leave starting in January. Knowing I would have this time off seemed to push methrough December, my pain level was very high, but knowing some downtime was ahead was a real motivator tokeep going for those last few very busy and taxing weeks of work. During those weeks I ignored my new diagnosis and what it would mean for my life and me. But something seismic had shifted inside, I realised I felt numb to my life; I was just going through the motions, feeling totally out of balance. In truth, I was at breaking point, taking pill after pill to mask my pain, I desperately struggled through work only to crash and burn at the end of every week, and I had no quality of life. I was hopelessly trying to stay afloat despite the tsunami of excess – too much pain, too much work, too much stress, life was becoming too much and I felt I was drowning. I knew I couldn’t change the destination of my life overnight but I was willing to change the direction and explore calmer waters. 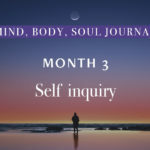 I wasn’t quite prepared for the voyage of discoveryand transformation I was about to embark on, guided only my desire and belief that I could ‘heal’ my self back to perfect health, happiness and overall wellness and balance. 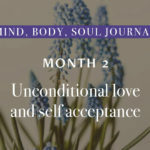 In January 2014 I took 3 months leave from my employment and began a much more important daily job – self care I had spent my whole working career being dedicated and determined, achieving and completing many goals with real passion. 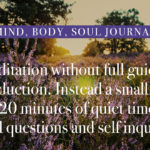 So I decided to apply those same qualities to the wellbeing of my mind, body and soul. It wasn’t all calm waters, change represents uncertainty, whether it’s planned or unplanned, it can be very uncomfortable. Embrace the unease and use it to re-examine your life and consider what direction really matters most – for me it was my health. My advice; listen to the inner you and make a shift – Be willing to let go of what no longer serves you. Situations, relationships, jobs, hobbies and places all have expiry dates, if something no longer feels good don’t be afraid to get rid of it. Sometimes by letting go we are free to explore and manifest brilliant new possibilities. 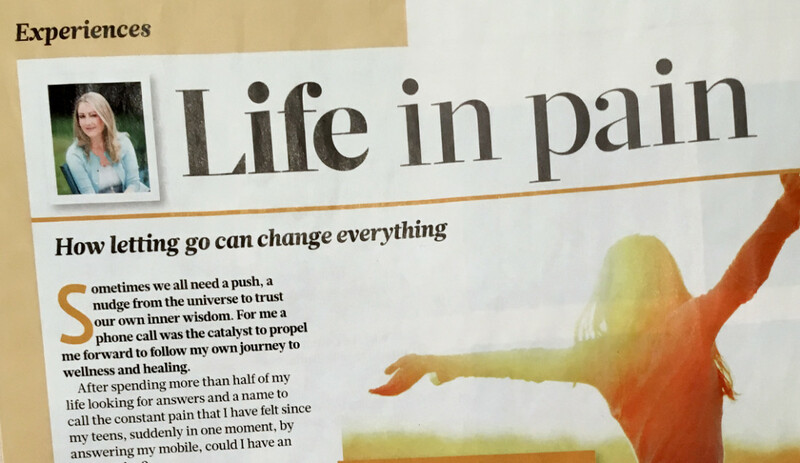 Read about Andrea’s journey to Wellness in her new book ‘Pain-free life; My Journey to Wellness’ by Mercier press.